Bailey, Frankie and Chermak, Steven, editors. 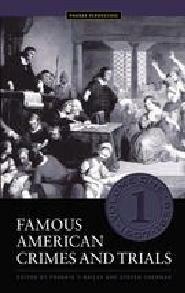 Famous American Crimes and Trials: Volume IV, 1960-1980. Praeger, 2004. ABC-CLIO, publisher.abc-clio.com/9780313017537.